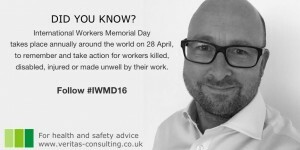 April 28th marks the 46th annual “Workers Memorial Day”, conceived as a way to commemorate lives and unfortunate deaths of people killed at work. Initially the event was unofficial, arranged by an American trade union – but the idea quickly caught on and is now recognised by the United Nations and numerous national governments as ‘World Day for Safety and Health at Work’. By publicising previous workplace accidents and disasters, health and safety organisations help to raise awareness with a view to reducing future incidents. Among the many historical incidents that will be commemorated on the 28th are dozens of lesser-known disasters, alongside those you probably already know. One of the UK’s worst industrial accidents, an explosion at the Flixborough chemical plant killed 28 workers in North Lincolnshire. A further 36 people were seriously injured as almost every building was flattened in the blast. Subsequent investigations revealed that several hastily executed plant modifications had created a leak of liquid from one of the chemical plant’s reactors. This in turn led to a dangerous build-up flammable hydrocarbons that eventually exploded. It is believed that in their rush to carry out improvements to plant productivity, the company’s engineers had failed to properly assess whether the work had been completed properly. Worse still, there was no professionally qualified engineers working on site at the time of the accident. The Flixborough disaster was instrumental in pushing through the ground-breaking Health and Safety at Work Act which 40 years later still defines UK law protecting employees. An inquiry into the accident also made a number of recommendations that led to safer design and construction of chemical processing plants ever since. The Bhopal gas tragedy is widely regarded as one of the worst industrial accidents of all time. In just one night an estimated 500,000 were exposed to lethal methyl isocyanate gas after a leak. Officially 3787 people died that same night, although some independent accounts suggest the death toll was closer to 8000. A further 8000 people are believed to have died as a result of exposure in the days and weeks following the leak. A quarter of a century later, seven employees were finally jailed for causing death by negligence as their actions were found to have been directly related to the leak. The Bhopal gas tragedy stands as a stark warning about maintaining site safety, and the dangers posed to members of the public. Here in the UK, risk assessments should consider potential dangers posed to the public as well as workers on site. And any recommendations and inspections need to be carried out according to schedule to prevent large problems developing unseen. A relatively routine fire turned into a local disaster when fertiliser being stored on site exploded. 12 firefighters and 3 civilians were killed in the explosion, the majority of whom were trying to bring the blaze under control. A further 160 people were injured, and 150 nearby buildings were damaged or destroyed in a blast that measured 2.1 on the richter scale. Accident investigation work after the incident revealed that the West Coast Fertiliser Co. had been illegally storing 55 tonnes of ammonium nitrate onsite, alongside a further 55 tonnes of anhydrous ammonia – far in excess of the 400 pound maximum permitted by the Department of Homeland Security without a permit. The explosion clearly shows the importance of adhering to legal guidelines for the safe storage of dangerous chemicals, and the risks created by deliberately ignoring laws put in place to protect the public. With so many official ‘world day of…’ entries in the calendar, it is easy to become blasé about the whole idea. But an estimated two million men and women die due to work-related accidents and diseases every year worldwide. They are joined by a further 270 million accidents and 160 million work-related illness diagnoses. Whether as a result of major disasters like the examples recorded here, or on an individual-by-individual basis, workplace accidents have the potential to radically alter real people’s lives. So it really is important to use just one day a year to raise awareness and push for improved working conditions everywhere. To learn more about World Day for Safety and Health at Work, or to obtain assistance with your workplace risk assessments and safety planning, please get in touch. Put in a world wide perceptive the numbers are pretty staggering David. absolutely… very surprising and thanks for your comments.